Mate has an expansive product line of European Precision Style, Wila Trumpf Style, and Bevel Tang Styles of press brake tooling. Mate’s product line includes punches, dies, standard specials, specials and accessories manufactured from premium alloy tool steels. 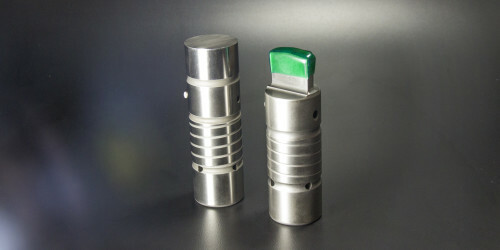 Mate Laser Technologies is your dependable, single source for CO2 and Fiber laser lenses, nozzles and accessories. Proper tooling maintenance is critical to produce high quality parts, increase machine up-time and extend tool life. Mate offers a variety of sharpening systems to help keep your tooling in optimal condition.